I’m delighted to welcome Tracey Sinclair to my site today to tell us about her latest books. 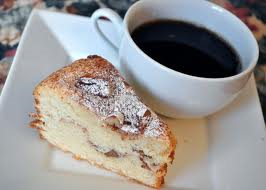 Why not grab a cuppa, a slice of cake, put your feet up, and join us for a chat! I know one of the most commonly asked questions for writers is, where do you get your ideas from, but the only honest answer is, everywhere! 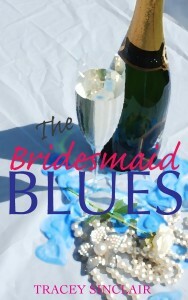 My romance, Bridesmaid Blues, was inspired by the fact that, as a single woman, I was bridesmaid to an awful lot of friends (I used to joke that the film 27 Dresses was my autobiography!) I was also the only bridesmaid at a wedding where my ex-boyfriend was best man, and though that worked out fine in real life, I saw the comic possibilities of it as a basis for a story. For the Dark Dates urban fantasy books, it was a little different – I was sick of the wimpy, whiny heroines I was seeing in some books (naming no names, but sparkling vampires may have been involved!) and I wanted to create a series based around someone who wasn’t like that, but also wasn’t some kind of superwoman – just a normal, relatable woman thrown into extraordinary circumstances. Do you model any of your characters after people you know? If so, do these people see themselves in your characters? I do, quite often, though usually I take a mix of characteristics from several people and combine them so as to protect the guilty! Funnily enough, I often combine siblings’ characteristics into one person. The glamorous Hali from Bridesmaid Blues is based on a brother and sister who were great friends to me when, like Luce in the novel, I first moved to London, while Katie in Dark Dates is loosely based on a couple of dryly funny, no nonsense sisters who are also good friends of mine. Sometimes people see it, but I try not to make them too much of a carbon copy, otherwise I think you worry too much about offending people instead of staying true to the characters. I usually have an idea for the start of the book, and the end, but the middle is left to unfold as it will. It’s a bit nerve-wracking, and often ends up being quite surprising, but it works out – although I do a lot of advance notes, sketching out scenes, and an awful lot of rewrites. I write loose fragments and character sketches, to test or flesh out ideas, characters or scenes, then I do a first draft in longhand. Then, depending on how well it’s going, I’ll do another longhand draft and then at least a couple more on the computer. In terms of routine, I tend not to write a lot over the winter as I have a lot of other commitments (I’m a freelance writer and editor, so I work around a lot of deadlines) but from March-October I usually write every day, depending where I am in the story. It’s different things for different books, I think. With Bridesmaid Blues, I relished the idea of writing a rom-com that was set in my home city of Newcastle, because you see so many books about women being whisked off to glamourous lives in New York or Paris, and I wanted a more down to earth setting. 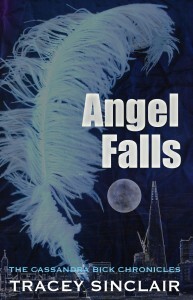 With Angel Falls, which is the latest in the Dark Dates series, it’s the thrill of writing about characters I’ve become familiar with, and that readers have become attached to – knowing you’re putting out a book that people are looking forward to, and that feature characters that readers have come to really care about is pretty much the biggest thrill I can think of! 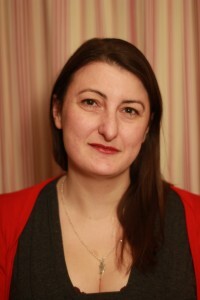 Tracey Sinclair is a freelance editor and writer, theatre reviewer, author and playwright. She has been published widely in both print and online magazines, and included in a number of print anthologies. Her play Bystanders was produced at Baron’s Court Theatre in 2011, and again at the White Bear, Kennington and Tristan Bates Theatre, London in 2015, and Dark Dates: An Audience with Cassandra Bick, which she co-wrote with Zoe Cunningham and Peta Lily, has been performed at the Tristan Bates Theatre and the Brighton Fringe. Her first two books were published by Kennedy & Boyd, and her latest series is the Dark Dates/Cassandra Bick novels. A Northerner by birth and temperament, after spending most of her life in Newcastle and Glasgow, she bailed for sunnier climes and now lives happily by the sea in Brighton, with only occasional yearnings for a stottie sandwich or a macaroni pie. Many thanks Tracey- great interview!